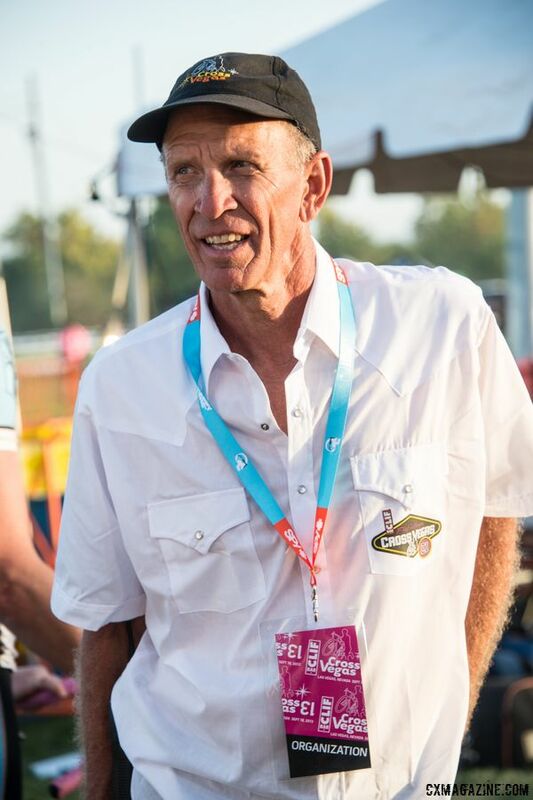 Brook Watts had a good run as the race director of the bike race formerly known as CrossVegas. The Longmont, CO resident started the Las Vegas race in 2007 and ran it during Interbike for the next 11 years. 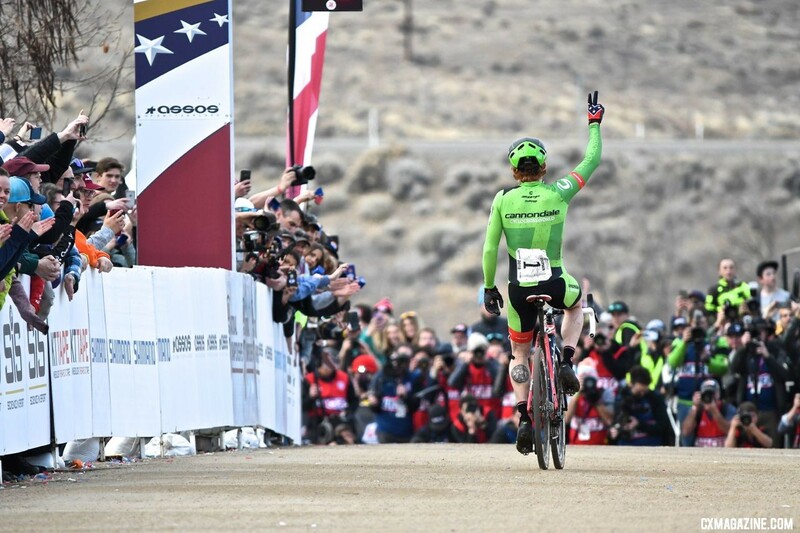 During that time, the race brought international stars the Sin City, and it became the first UCI World Cup held in the U.S. in 2015. CrossVegas’ run got a shake-up last year, when Interbike announced it is moving to Reno beginning in 2018. Given the race’s close ties to the annual trade show, Watts decided to move his race to Reno as well and re-brand it as RenoCross starting in 2018. 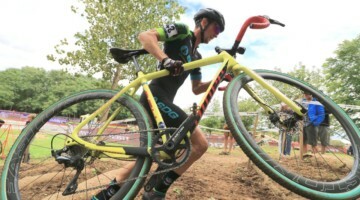 Fortunately, the move takes the race to Rancho San Rafael Park, which has experience hosting a cyclocross race after the 2018 U.S. Cyclocross Nationals were held there. 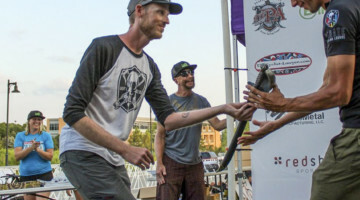 Last month, Watts announced the sale of his RenoCross race to the Reno Cyclocross organization that hosted the 2018 Cyclocross Nationals. That group led by Coby Rowe will now foster the UCI C1 race through its new life in the Biggest Little City in the World. Watts, however, will still be busy. Last year, he joined on as the race director for the Trek CX Cup and World Cup Waterloo at Trek headquarters in Wisconsin. In 2018, he returns as race director, albeit with a bit more time to focus on the race in Waterloo. The race in Waterloo returns for its sixth year overall and second as a UCI World Cup the weekend of September 21-23. 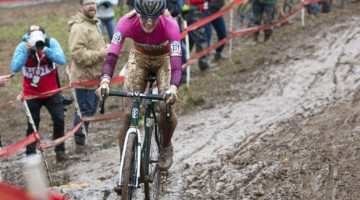 It joins Jingle Cross as one of the two UCI World Cups in the U.S. during the 2018/19 season. With a second year comes a focus on bringing back the things that went well and focusing on what can be changed to make the event better this year. Those of you who follow Watts on social media know that looking at races and trying to figure out how to be better is nothing new for him. 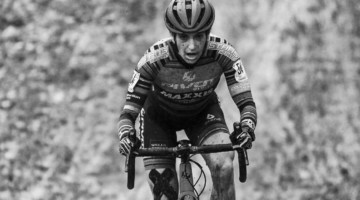 Watts attends many races in Europe, and he was recently at the U.S. Road National Championships in Knoxville and the Dirty Kanza 200 gravel race we covered. 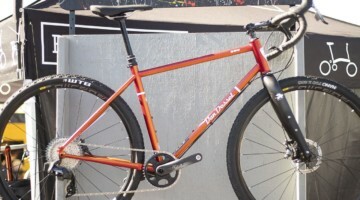 Watts was in Wisconsin this week working on plans for September’s Trek CX Cup and World Cup Waterloo. 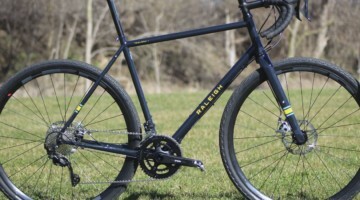 He stopped by my Madison office to chat about Dirty Kanza, what’s in store for World Cup Waterloo this year and his decision to sell RenoCross. 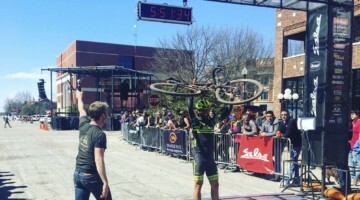 Cyclocross Magazine: You were at Dirty Kanza, right? It was your first one? Brook Watts: It was my first one. Sven and I serve on the Cyclocross Commission. I knew he was going over there, so I said, sure I’ll head over there. I loaded up the RV, and I just wanted to get out of town and see what it’s all about. 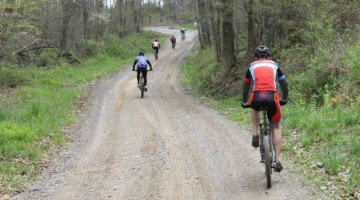 See what gravel racing is all about. It was very exciting. It was very strange to watch those 350-mile folks take off at 4 p.m. on Friday, go to my campground and sleep in my RV and then wake up to all the crazy weather and stuff and think about the riders still out there. I went to the start line and the race was delayed by 30 minutes because of the weird weather, and then boom, off they went. See you in 10 hours. I also wanted to see what I had read about for years in terms of the way Emporia embraces the event. CXM: It was impressive, wasn’t it? BW: It was incredible. Imagine if every town that hosts a cyclocross race embraces the race in the same way. Wouldn’t that be frighening? CXM: I think what was interesting to me was, cyclists are not necessarily embraced everywhere, but it seemed like from the volunteers to everyone, cyclists were welcomed. BW: If you own an RV, all you own is headaches. I was having trouble with my RV water pump. I went to an RV dealer in Emporia. If you’ve ever been to an RV repair shop, it’s like come back in three weeks. The guy said, “Oh, you’re in town for Dirty Kanza? Let me take a look at what your problem is.” He said, “I’ll take care of you. If you were one of the guys in town for disc golf, I wouldn’t be as friendly because those guys are nothing but pot smokers.” Thank goodness for gravel riders. 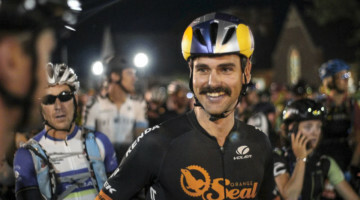 CXM: One thing that was really cool being at the finish was seeing people go nuts for all the riders from Emporia. BW: Exactly. And there were so many. It was very frequent to hear that announcement, “And here comes so-and-so from Emporia,” and hear the cheers. And then all of the food booths were great. It was a really fantastic local turnout. 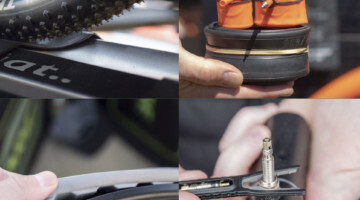 It’s something us ’cross race organizers could learn from. How to bring local involvement to an event. Now of course it helps it has many more participants than a cyclocross race. But the community outpouring was impressive. CXM: We did a story about a race that was having trouble getting community involvement. I wonder if part of it is being in a small city versus a big city. Do you think that plays a role? BW: I think it does. 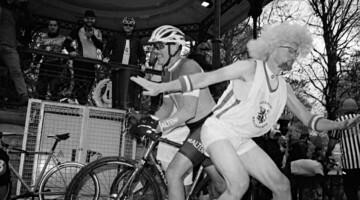 I’ll give you a perfect example from my own experience of CrossVegas taking place in Las Vegas, where on any given night you have to compete with Celine Dion, Elton John and 20 Cirque de Soleils. There’s like 20 of those things. My point is, there is something about being in a smaller city where you come into town and you can create a bigger splash in the pond that is otherwise going on. In the case of Emporia, I think it’s great. It’s clear they’ve got a lot going on. They’ve got the disc golf world championships and all the other things that take place in a town like that. 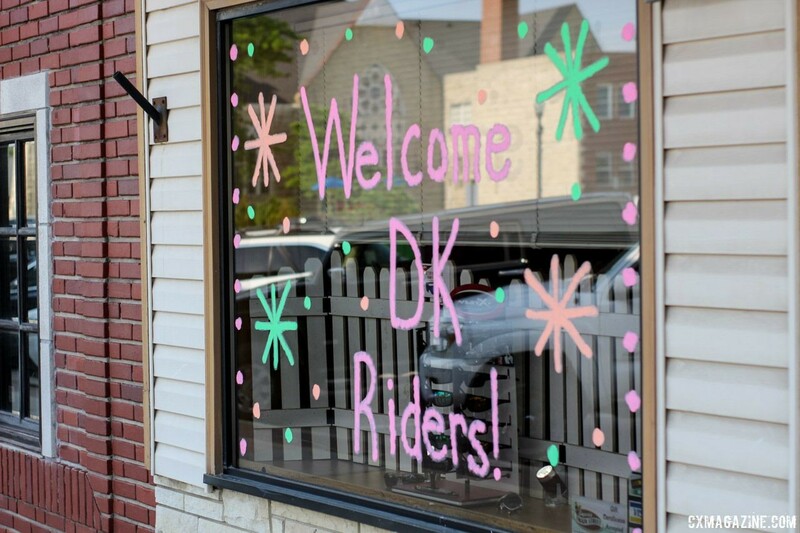 But it’s clear Dirty Kanza is a big deal for them. It’s the same thing when Cyclocross Nationals came to Reno last year. It was the biggest thing happening in Reno at that time, and there were a lot of locals who turned out to watch. That’s one of the things I say. It reinforces that notion that I don’t have to organize an event in New York City. 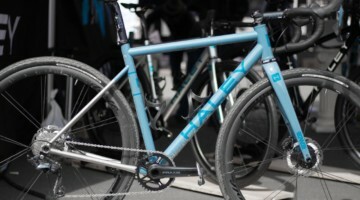 CXM: It seems like a lot of the big ’cross races are in bigger cities. DCCX, Charm City, Louisville. So what can your fellow organizers learn who are in the bigger locations? BW: I don’t think it’s distinct to bigger locations. The thing people can learn, in public relations, or what I call “local marketing,” because public relations implies writing a release and sending it to the local news station. Local marketing is understand everything that is out there, and what effort I need to apply to reach those people. Local marketing is elbow grease. That’s been my mantra for years. It’s just endless amounts of e-mailing, phone calling, arm-twisting, cajoling. Trying to convince people to pick up your story and efforts to get the news out. How many times have you gone into a town for a race and you walk into a coffee shop and they say, “Oh I didn’t know there was a bike race going on.” We’ve failed if we haven’t at least gotten people to understand there’s something going on in the town. That’s one of the things I take away from it. You have to roll up your sleeves and get the word out using good old fashioned hard work. CXM: So you’re going to Tour of America’s Dairyland here in a few days. It seems like a lot of those races have really become a cornerstone of the communities they’re in. Or at least several of them. BW: They benefit from the annual basis. I’m going to go to Bayview. They’ve been going to Bayview for a while. How many decades have they been racing in Downer Grove? It’s one thing if you’re going back to the same place. It’s another thing if you’re trying to get into a new market for the first year. You really have to double your efforts. What does a big city person have to do? I think it’s segmentation. It’s recognizing, look, I can’t get everyone involved in a New York City or Denver or even Boulder. I have to go for the low-hanging fruit. Who are those people who might naturally come out there? Kind of just understanding the market and who you’re trying to attract to the event. I also think most events don’t try to get spectators. They preach to the choir and try to get additional participants, and they never try to tell the story of coming out and watching this thing. 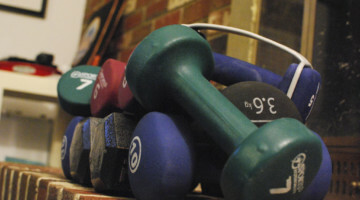 You mentioned CrossFit earlier. I bet there were tons of locals watching the CrossFit ’cross race last year. Because it was free. If you’ve got something free that’s out of the ordinary, you’re not going to see it on an average day. In other words you can see it once every 365 days, and you can tell people, look, people have a fear of the unknown. I’m not going to go watch an archery tournament because I don’t understand archery. But if you tell me, Brook, you don’t need to know anything about this to enjoy it, then I’m more likely to come out. This is one of the things I tell people, when I’m talking to sponsors, you don’t need to know anything. You come out and the person in the front is likely to be the person who wins. It’s what you see is what you get racing. Give it 10 or 15 seconds and you’ll be hooked. It takes very little explanation and they can enjoy it. 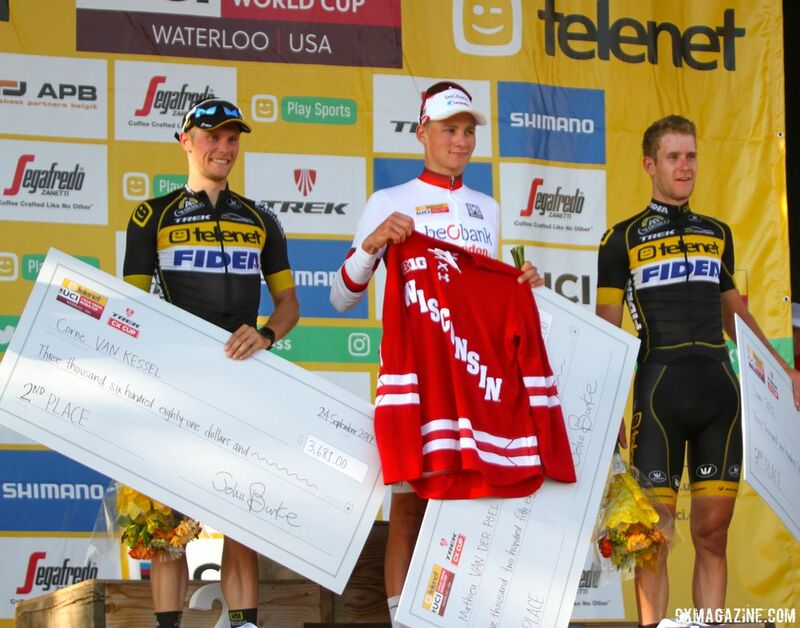 CXM: With that, you’re here in Wisconsin, what can we expect for year two of World Cup Waterloo? BW: What can you expect? Some modifications to the course. Some changes to the course for a couple of reasons. To make spectator flow a little easier and to spice up the racing a little bit. That’s going to be the first thing. We also have in place a Thursday night come out and preview the course. You can come out to Waterloo on Thursday, pick up your race number and get the administrative part done in advance and then get out on the course. Ride the course you’re going to race on Friday, Saturday and Sunday. As far as the World Cup it’s going to be very much the same. I think you’ll see the same players. I think it’s going to be exciting racing. We’re also adding two additional flyovers this year. One, in particular, to help the spectator flow. Where we had our main gate, there was kind of a log jam. We’ll have a flyover there, and then we’ll have a flyover coming out of Pit 2 which will allow us to modify the course a bit. I’m not sure we want to do a tail whip contest, but we would have additional flyovers to do it. CXM: I think having the off day on Saturday was a really cool aspect of last year’s race. All the racers seemed pretty relaxed since it was in the U.S. and early in the season. BW: I did not see any Europeans eating cheese curds. I think you need to get that on video this year. CXM: I like that idea. I’m going to talk to Dave Mable about that idea. I know Ellen Noble doesn’t like them. A couple years ago at the Trek CXC Cup, Renee Callaway gave out cheese curds to the podium finishers, and Ellen was not a fan. BW: Is that kind of a pizza legs thing? You’re not supposed to eat cheese before a race? 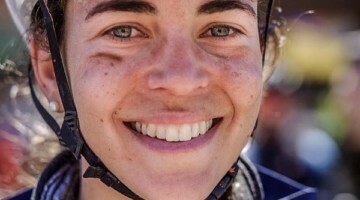 CXM: I dunno, it was after the race, and she had already podiumed. BW: We are behind the cheese curtain now. CXM: What about the Legends race this year? BW: We’re doing the Legends races again this year. I love the idea. No rules except the starting grid is set up by the best costumes. The racing was fun to watch. And then at the end they did a costume contest. The whole thing was a neat end-of-day social element. I know Sven is going to be racing in one of them. I don’t know who will be racing in the other. I’m not sure if Jens will be back, but he was fun to watch. 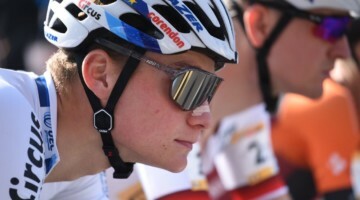 CXM: Going back, it seems like that approach is a good way to introduce people to cyclocross without it being a race. The Reno people did that too, they had the locals’ race at Nationals. The Legends race was not a race. There were a few people going hard at the front, but most people were taking hand-ups. I think part of the challenge with cyclocross is at the end of the day, it’s a race. Obviously it would be hard for local organizers, but having a more relaxed chance to do ’cross seems like it might encourage more people to participate. BW: I agree with you. I think people need to see there’s a fun element, where no matter what, I can still go out there and have fun. I can wear a golden speedo if I want. I can take a bacon hand-up. I can blow the barriers and go back and give it another try. All of those things that make it more of a parade and less of a race. I think with something like that, it’s a few laps, have some fun and then the party starts. CXM: Any word on the Secret Bar? Or is it going to be a new secret this year? That thing nailed it. BW: Did you get back there in the woods? BW: The Secret Bar is coming back, but now it’s the No-So-Secret Bar. 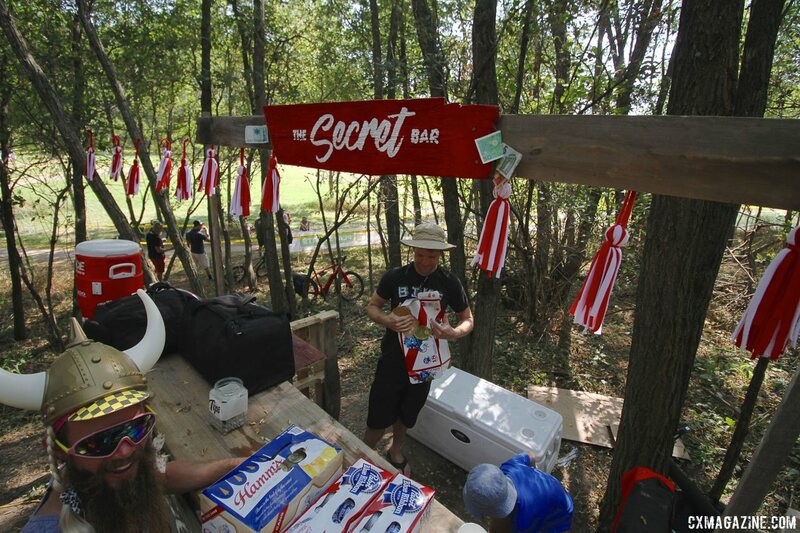 The Secret Bar was an effort by some of the Trek employees to just do their own thing and have a spot in the woods where they could hang out. There was a hammock. CXM: To me that was kind of an interesting case study of how to get people to congregate. It seemed to tap into that spontaneity people really like. BW: One of the things we’ve looked, is Little Zolder and the grassy area there, should we create more of a beer garden area over there? CXM: Or is that a good idea as a race director? How do you approach creating a scene versus creating the conditions for something like the Secret Bar to pop up? BW: The Secret Bar is a little different because if you put beer in a location, people are going to find it. In order to drive people over to Little Zolder, we’re going to put a flyover there. We’ve seen that a flyover attracts people. Why? Because Matthieu and some of the more skilled riders are going to be doing some acrobatics off them. CXM: So how to you predict where people are going to go and how do you handle that at as a race director? BW: Sometimes the popular spots are going to surprise you. I saw that at CrossVegas many times. I would say, okay we’re going to put a beer area over there because people are going to want to be there. And I’d look over and the beer area would be empty, the vendors would have their arms crossed and everyone had gone to some other course feature that you never thought would attract people. It would somehow emerge as a spectator zone. CXM: So are you going to take what you learned last year and apply it this year? BW: We were surprised by some things. We removed the paved area that goes across the loading dock area. So you’ll drop down to the loading dock and go straight back up. People didn’t congregate down there. Even though there were signs directing people to the bottom of the run-up, people wanted to stand at the top. We’re definitely going to re-design that. People seem to want to stand at the top of a run-up and not at the bottom. I guess I should have seen that one coming. We’ll do a few re-designs like that. CXM: I also wanted to ask about RenoCross. What went into your decision to sell the race? You put a lot of work into building that race. 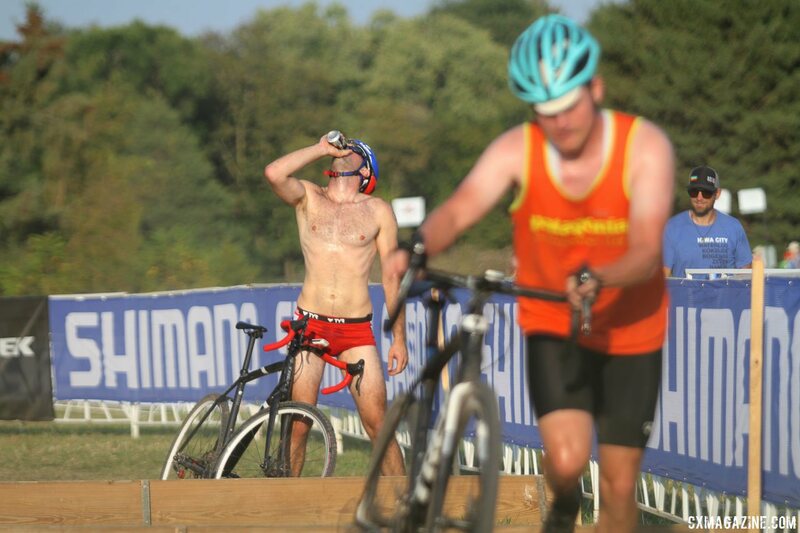 BW: Well I did 11 years of CrossVegas. It was very gratifying. I feel like you can draw a straight line between those first years of CrossVegas in 2007 to where the sport is today. 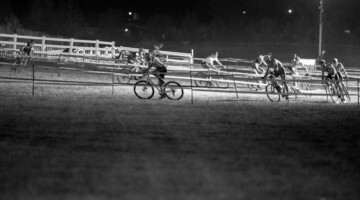 I feel like the race played a significant role in the development of cyclocross in America. And once the announcement was made that Interbike was moving to Reno, and we made the decision to go to Reno and Rancho San Rafael Park where Nationals were, that felt really good. It became clear to me that what the race really needs is a local director. I watched what Coby Rowe and his team did with Reno Nationals this year and in the back of my mind, I knew it was time to turn it over to someone else. I approached Coby and asked if he wanted to buy a used bike race, and it just went from there. In a short period of time, we agreed on commerical terms. I can not feel better about who’s taking it over and what the path forward looks like. I’ve known Coby for years. He’s been a part of our CrossVegas team. It was a very natural move. 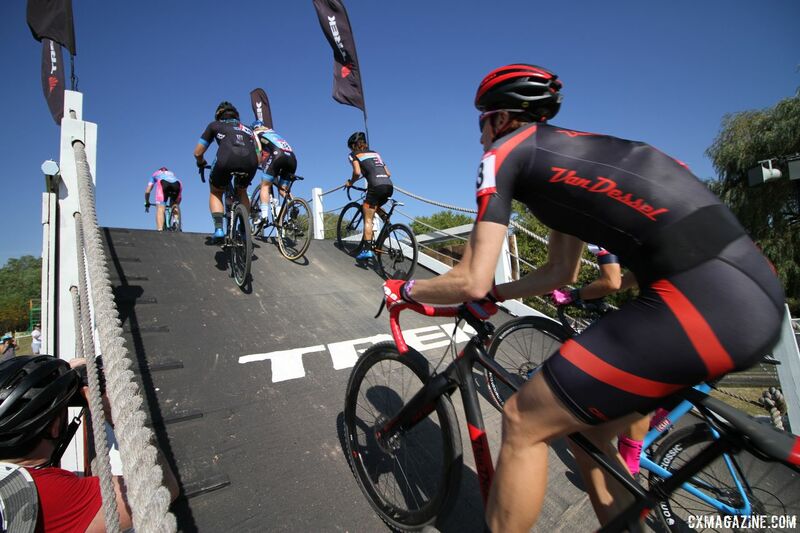 We were prepared to do another 11 years or more of CrossVegas Version 2.0 in Reno, but at the same time, it felt like it was time to move on. I’ll look back very fondly, but at the same time, new opportunities will come along. It gives me a new opportunity to look at World Cup Waterloo with a more dedicated eye when it comes to the middle of September. I know it’s still going to be a monster C1 race. It will play big on the national calendar, and it’s going to be fun to watch from a distance. CXM: They did do a very good job with Nationals this year. BW: It feels like with Reno being so successful, it’s fair to say let’s go back there again. I know Louisville will do a great job this year, but with Reno everything hit. I think it comes back to what we were talking about. It’s the right-sized town, and it’s the right town. Las Vegas was very good to me, I’m not a Las Vegas hater like some people are, but Reno is a different market. You have a much larger native Nevada population of outdoor-loving people of all stripes. 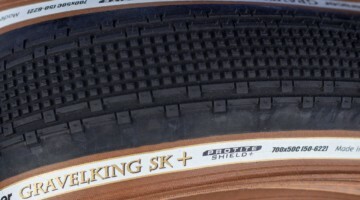 Cyclists, climbers, hikers, skiiers, et cetera. The opportunity to get non-Interbike attendees out to that event is greater than it was in Las Vegas. But you also don’t have all those distractions we talked about early. The Celine Dions and other shows that made it difficult to make a splash in that pond. 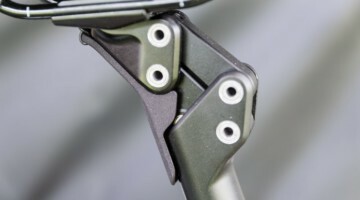 CXM: It seems like one of their challenges will be dealing with the schedule, although fortunately it’s not between the two World Cups this year. Are you going to be doing some consulting? BW: Coby and I talk and I’m always available, but I don’t have an official role. CXM: So you’re stepping away completely? BW: Yeah, I’m stepping away. But I’m there to help as much as possible. 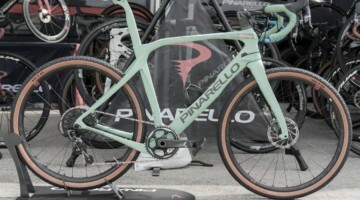 As I get European riders who has said, oh what about RenoCross? I’ve been telling them it’s great C1 points, it’s easy to get to. You can go there, race Waterloo and Iowa and go back home. I think they’ll have some international riders there. 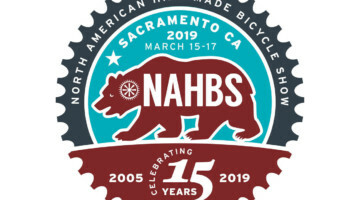 Sacramento’s a few hours away where there’s a healthy cyclocross scene. CXM: Well cool, thanks for your time and thanks for stopping by. BW: You’re welcome. I’m looking forward to September.